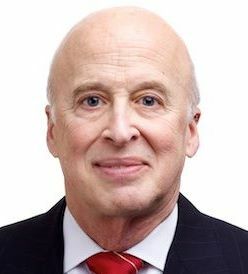 Shelly Friedman provides clients with responsive, business-minded advice founded on his comprehensive business, finance, taxation and M&A acumen gathered over 30 years of practicing law. Admitted to Bar: 1971, District of Columbia, Maryland and Pennsylvania, 1975, Georgia and U.S. District Court, Northern District of Georgia. Education: Miami University (B.A., 1967); George Washington University (J.D., with honors, 1970. Order of the Coif). Publications, Teaching & Court Service: Associate Editor, George Washington Law Review, 1969-1970. Author: “Taxation of Capital Gains at Death,” George Washington Law Review, October, 1969. Instructor, Graduate Program of Taxation, Atlanta Law School, 1980. Law Clerk, U.S.
Court of Claims, 1970-1971. Hearing Officer for the Commissioner of Securities, State of Georgia. Business Law and Taxation) Bar Associations; State Bar of Georgia (Member, Sections on: Taxation; Corporate and Banking Law); Atlanta Tax Forum; North Atlanta Tax Council (Member, Board of Directors). Phi Delta Phi. Vistage. Practice Areas: Business Law, Mergers and Acquisitions, Securities Law, Taxation, Corporate, Limited Liability Company Law, Partnership Law, Estate Planning, Asset Protection, Business Divorces, Exit Planning, Start-up and Emerging Companies, Venture Capital and Private Equity. Mr. Friedman was first selected as one of Georgia’s Super Lawyers in 2004.